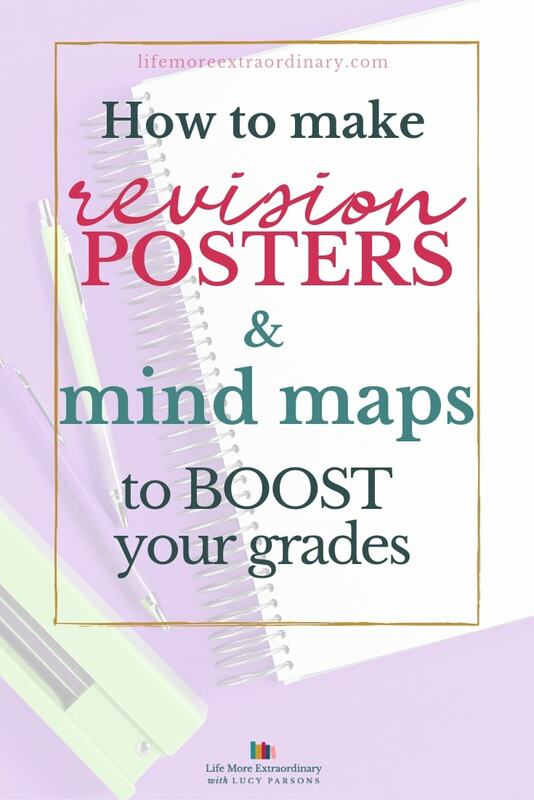 Creating revision posters and mind maps are a excellent way to help boost your grades. 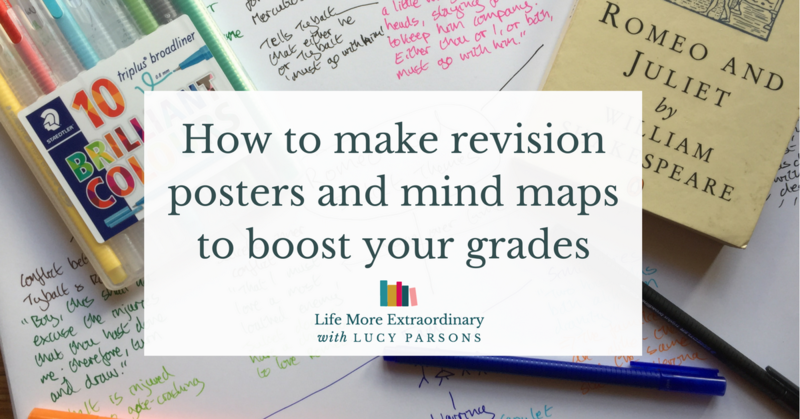 In this video I’m going to show you how to make revision posters and mind maps to help you get the top grades. Revision posters are great for showing information visually. 2 . Also make sure you have a black pen, a normal pencil (I like to use pencils like these, in case I make any mistakes) and some coloured pens like these Staedtler pens from Ryman. 2. Lay out your poster in a clear and visually appealing way – watch the video to see how I do this for plant and animal cells. 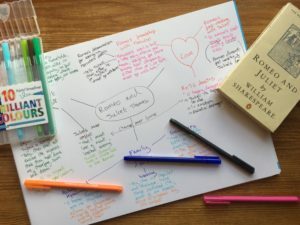 What kinds of knowledge can you use revision posters for? Geography case studies – I love to draw out a map of an area and annotate it in different colours to help me get a good picture of the case study in my head. See my post for more ideas about how to revise geography case studies. Story-board an historical event – if you're confused about the sequence of events create a cartoon-strip revision poster. You could do the same for a the plot of a play or novel. One of the subjects I am studying is history, which requires memorizing a lot of facts, dates, names, etc. The problem is that I fail to draw linkages between different modules, say modern China, Hong Kong and Japanese history even though some of the evens are happening simultaneously. It is also difficult for me to memorize the year of events and I tend to mix up historical facts (what happened during which period of time). What method would you suggest to help me with my revision? Thank you for taking the time to help me and have a good day. I suggested that they draw out the timelines of the events in different places on top of each other so that they could see what was happening concurrently and which events pre-dated others and therefore might have a causal linkage. Using the back of a wall paper strips would be great for this – to get the length necessary for the timelines. Otherwise, just stick pieces of A3 paper together. Any diagrams from any subjects – this could be for science, geography, DT – anything where you need to remember how information is laid out visually. Process diagrams – show the order in which a process occurs using arrows on a poster. Mind-maps are great for showing how information links together and to get a synoptic view of a topic or whole course. At A-Level in particular it’s important to demonstrate that you understand the links between the different sections of the course in order to access the top grades. 1. Take a large piece of paper like this one from Ryman. 2. Use three different colour pens to create your mind-map. 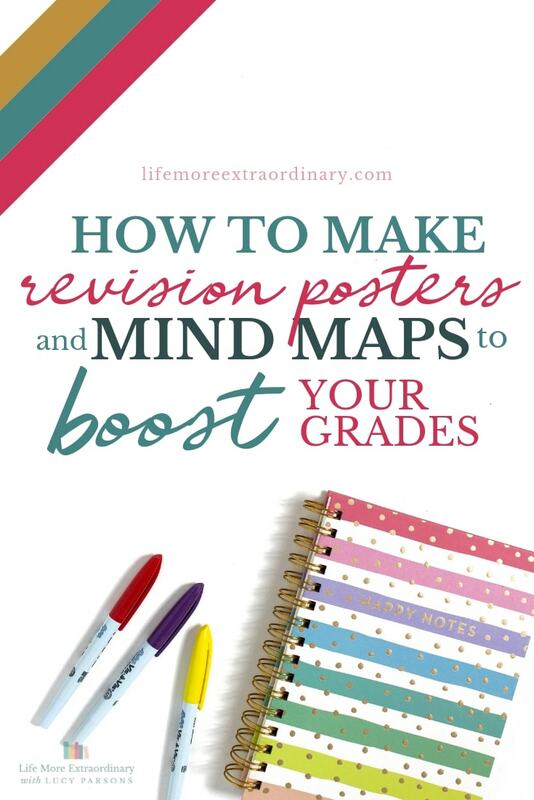 Please share this blog post and video with your child so that they can learn how to make revision posters and mind maps to help them boost their grades. Remember, you can buy all the materials you can see in the video from Ryman's website or from one of their high street stores. And, check out my Exam Success resource page for advice on everything from improving your exam technique to how to spend your revision breaks. Good luck!